Barr an Uisce (meaning “above the water” in Irish Gaelic) is an exciting new purveyor of Irish whiskey working from the beautiful glacial valleys of Wicklow, the Garden of Ireland. Drawing inspiration from the rolling hills, mountain streams and beautiful woodland of the surrounding area, Ian Jones, Barr an Uisce’s founder, seeks to recreate the warmth and closeness which Irish whiskey represents, the time honoured tradition of sharing of a drink together. 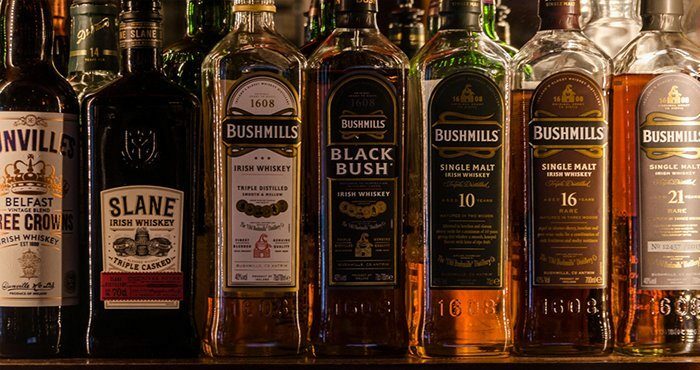 It is something which Jones knows a lot about, being a fourth generation publican and having a deep understanding of how important an Irish country pub is as the centre of its community. At the moment, there are only two Barr an Uisce whiskeys on general release. The ground level offering is a masterfully blended small batch whiskey, Wicklow Rare, however it is the top-shelf 10 Year Old 1803 Single Malt which has got critics very excited. Already highly regarded among connoisseurs, Barr an Uisce is definitely going the right way about providing a whiskey experience as memorable as its surroundings.